This practical advanced course will provide participants the theoretical background and give hands-on experience of state-of-the-art microscopy techniques under guidance of experts in the field. The Federation of European Biochemical Societies (FEBS) has become one of Europe's largest organizations in the molecular life sciences, with over 36,000 members across more than 35 biochemistry and molecular biology societies (its 'Constituent Societies') in different countries of Europe and neighbouring regions. 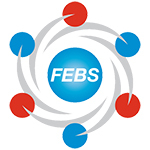 FEBS thereby provides a voice to a large part of the academic research and teaching community in Europe and beyond. As a charitable organization, FEBS promotes, encourages and supports biochemistry, molecular biology, cell biology, molecular biophysics and all related research areas in a variety of ways. 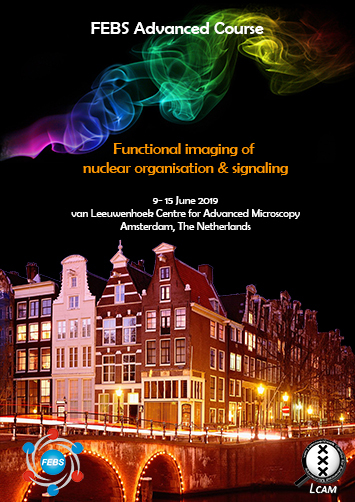 The van Leeuwenhoek Centre for Advanced Microscopy (LCAM) is a formal collaboration between three innovative microscopy centres at the Faculty of Science (FNWI) of the University of Amsterdam, the Academic Medical Centre (AMC) and the Netherlands Cancer Institute (NKI). LCAM has become a Node candidate as Euro-BioImaging Flaghship centre for Functional Imaging and High Content Microscopy.